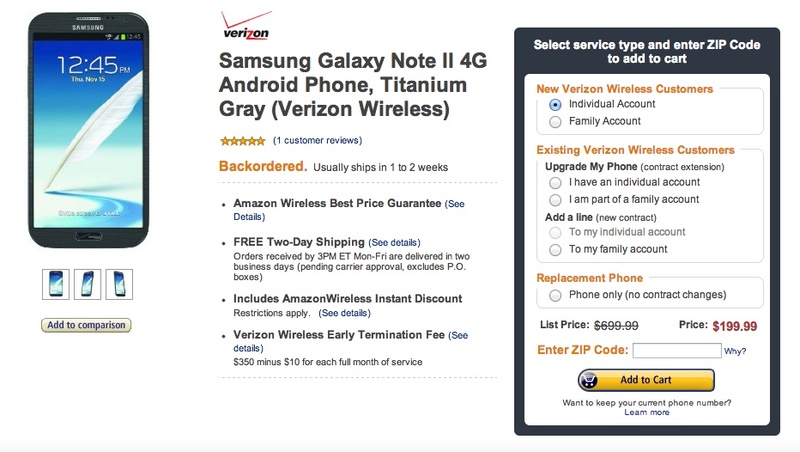 Yesterday, we mentioned that the Galaxy Note 2 for Verizon had popped up over at Amazon Wireless for $279, $20 cheaper than what Big Red was selling it for. Today, it’s dropped to $199 for new customers, a $100 discount. Upgrades are still the same $279, but if are with another carrier and feel like jumping ship to the biggest 4G LTE network in the land, then this is a price that will be tough to beat.